I guess my idea of a good Labor Day weekend is doing as little as possible. Relaxing one final time before the summer turns to fall. Grab a good book, kick back on a private balcony with a mountain view, and fall asleep in the sunshine. In retrospect, perhaps that’s why Jaimi and I decided to head up to the Catskills for the long weekend. Because that’s basically all there is to do up there. Which is fine for me, and totally appropriate for a holiday known as Labor Day. We found a nice B & B online (The Rosehaven Inn) and booked one of their four well-appointed rooms. We weren’t sure what was in store for us up in the Hunter Mountain area, but we figured it would involve some hiking, some eating of food, some drinking of wine, maybe some touring of quaint historic towns, some tubing down a river of some sort, some art viewing, some antiquing, and some playing with the resident dog at Rosehaven – Gandalf the golden retriever. As it turned out, we really only did about 60% of the items listed above – and all within the first 4 hours of the trip. The Hunter Mountain area is very scenic, in both summer and winter. But for city slickers such as ourselves, it was a bit lacking in activities. Plenty of hiking, for sure. And Gandalf the dog was very nice, but rather old – much like the silver-haired wizard of the same name. Coincidence? Both wizard and dog are old and nice. Hmm. Why, Gandalf, you are such a nice doggie, but how did you just make that tennis ball transmogrify into a piece of beef? How is it that your bark causes squirrels to fall from the branches above you? And I swear you just entered the house through a solid door -one in which no doggie-door has been crafted. Anyway, great dog costume old man. You probably have most of the guests fooled, but not I. We did enjoy a few decent meals in the town of Haines Falls. A special shout out is in order for The Last Chance restaurant, featuring 300 beers and a decent roast beef sandwich. I certainly didn’t try all 300 beers, but it’s nice to know they’re available. 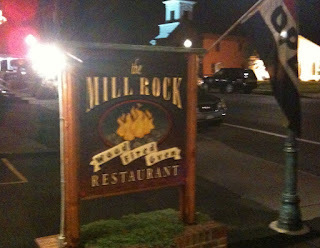 For our final dinner in the area, we ventured forth to the ski town of Windham, and tried a place called The Mill Rock. 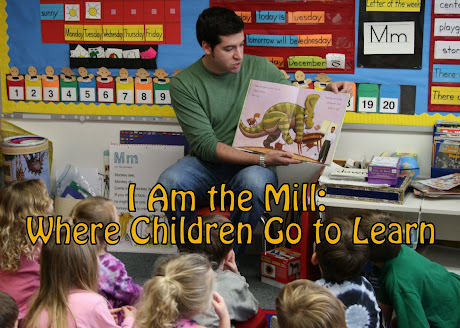 We mostly tried it because I’m the Mill, and the name of the restaurant is one letter away from “The Mill Rocks” – which is not really a good restaurant name, but is more a statement of immutable certitude, and had me giggling all night. Because I do totally rock, and it would make sense that this restaurant would be awesome. Awesome name for a restaurant, but only if it was my restaurant, and my face was basically the entire sign. It was not awesome, but was perfectly adequate in many ways, and almost totally inoffensive in terms of flavor and odor – which is another great way to describe me. All in all, we had a nice, relaxing Labor Day weekend in the mountains. The location was convenient to Brooklyn (only 2 hours by car), the accommodations were very comfortable, and there was an old man dressed in a dog costume. Hope your Labor Day was just as nice.